Why is it in danger? What Are Other Schools Doing? A 6-week meadow is where the grass is cut less regularly, ideally once every 6 weeks throughout the spring and summer. A one-cut meadow is where the grass is cut once per year (Oct/Nov). This will allow a range of native flowers and grasses to develop as well as providing a wonderful new habitat for pollinators and other invertebrates. If you are worried about tidiness, just make an interpretative sign with your class and ask the caretaker to cut an outline border and internal pathway to show the intentional nature of your ‘wilderness’. Standby and wait for the parade of flowers from daisies to dandelions, buttercups to clover! Again, this is so simple, totally free and has a big impact! Give it a go! Use our free, printable flower ID cards to help your class identify the wildflowers that appear. Amazing wild Orchids at St. Thomas's NS, Rathowen, Co. Westmeath. 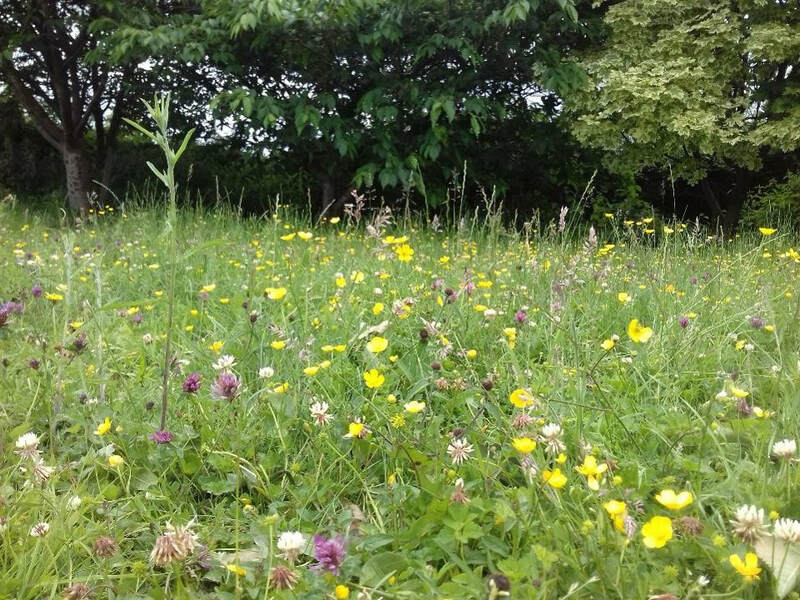 St. Thomas's NS, Rathowen, Co. Westmeath 'Let it Grow' to create an amazing wildflower meadow. Local Communities: actions to help pollinators. All-Ireland Pollinator Plan, Guidelines 1. National Biodiversity Data Centre, Waterford. April, 2016.